This entry was posted in Fashion and tagged ::E.A. Studio:., [CX], 3D, 3D people, A&Y, A&Y Bunkershop, A&Y Cybernetics, Art, Avanti, avatar, Bento, Blog, Blogger, Cerberus Xing, CerberusXing, Clothing, Collar, Couture, CURELESS. 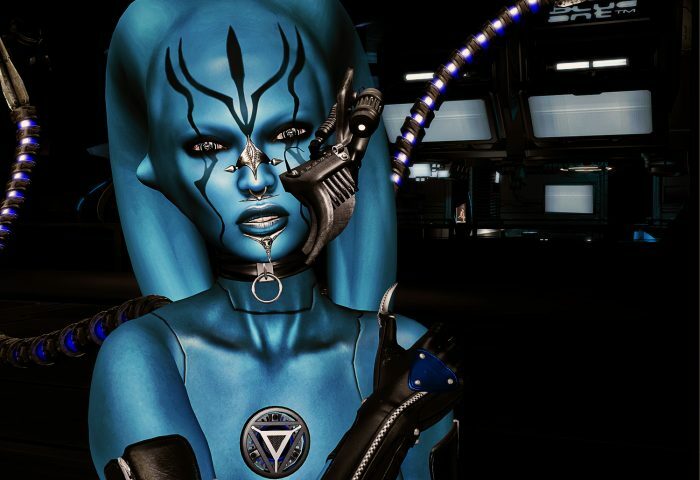 CURELESS [+], cyber, cyber creature, cyber mask, cyber punk, cybermask, Death Row DEsign, deathrow design, DeathRowDesigns, DRD, Eclipse Art Studio, Fairey Poses, Fashion, Fashion in Pixels, fashion poses, Female Clothing, female wear, Foxcity, Hair, High Fashion, Insilico, Jewelry, lekku, LeLutka, LePippycock, LIRE skin, LIRE Skins, LURE, Maitreya, mesh body, mesh head, meta virtual, Model, model pose, Modeling, Modeling pose, Modeling Poses, Neurilab Inc., NeurolaB Inc., New, New Release, New Releases, News, photographer, Pose, sci fi, Second Life, Secondlife, SL, SL Clothing, SL Fashion, SL Style, star trek, star wars, Style, virtual fashion, Virtual World, virtualfashion. Secondlife, Wicca Merlin, Wicca's Wardrobe, woman. Bookmark the permalink.